The NEX-5R is a new addition of SONY’s NEX series combining the functions of typical DSLR with many ease-of-use features that usually appear on a compact digital camera. 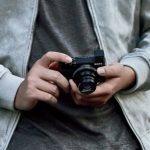 If you are familiar with the NEX series, you can immediately see that the overall appearance of the design is very similar to its predecessor, the NEX-5N. NEX is a very popular series in the market creating great expectations from enthusiasts that the manufacturer can bring pretty drastic improvements in terms of picture quality and usability in the 5R. SONY has managed to fulfill such expectations by adding many things including direct WiFi connectivity, touch shutter functionality, and according to SONY, a redeveloped sensor. As mentioned earlier, the overall appearance of the NEX-5R is very similar to its predecessor. Both are small enough to be considered compact, but they have big lens mounts. There is a 3-inch articulating touchscreen on the back, as seen on the NEX-5N. Each also has rubberized grip to help you to capture images more comfortably with one hand only. There are other similarities including the IR receiver to allow you to take pictures by using an optional remote control, SDXC slot, battery compartment, dual microphones, and Smart Accessory Terminal for mounting external flash. Besides providing the touchscreen control, SONY NEX-5R also brings physical buttons mainly to improve ease-of-use. A four-way controller to the right of the touchscreen features a dedicated ISO button. Another important handling tweak is the relocated video recording button minimizing the possibility of accidental presses. The four-way control dial actually allows you to configure some core functionalities of the camera such as shutter speed, aperture, shooting modes, etc. Furthermore, an Fn button located to the right of the shutter is fully customizable; you will want to use this to quickly access the most commonly used tweaks. Controlling every function of the NEX-5R may not be as easy as controlling a full DSLR, but SONY does a good job considering the overall dimension of the camera which measures at 110.8mm W x 58.8mm H x 38.9mm D; it weighs 276 g (including batteries). SONY NEX-5R does not have eye-level viewfinder, but its 3-inch LCD touchscreen can do the job well. With a resolution of 921k-dots, viewing it under bright light condition is comfortable enough. It is hinged, so you have a clear view of the display from many different angles. One of the most interesting features of this hinged display is that it can be flipped upwards to 180 degrees, allowing you to capture self-portraits seamlessly. It is probably not a huge improvement, but it is admittedly an ingenious designing. The touchscreen is a resistive, instead of the more modern capacitive variant equipped on most smartphones today. This makes going through options on the screen is slightly sluggish, but the physical buttons accommodate such issue very well. Another noticeable feature is the availability of WiFi connectivity to support wireless transfers to online storage services including Facebook and PlayMemories. You can also transfer images wirelessly to any networked Mac or PC. By installing Sony PlayMemories App, you can control NEX-5R via Android or iOS smartphone. There are also other available apps to add effects and other picture tweaking functions. WiFi connectivity needs to be configured manually; you can use either the touchscreen control or the four-way controller. Besides transferring files, PlayMemories app also allows you to wirelessly control the functionalities of the camera via Android or iOS handset. The main features include an APS-C CMOS chip with 16.1MP resolution. Sony’s BIONZ processor is as well planted, featuring an impressive continuous shooting speed of 10fps and such an extensive ISO range of 100 – 25,600. The image capturing features are very similar to those of other NEX series cameras. There is a good range of built-in effects and filters, which can be used directly as you are capturing images. SONY NEX-5R also has a redeveloped AF system that combines phase and contrast detections. Phase detection is originally for capturing fast-moving objects, while contrast detection is for added precision. The combination makes the system work faster for optimum results. Some pre-loaded shooting modes including Intelligent Auto and Superior Auto will determine the best scene for your image and adjust the camera automatically for the most ideal configuration. Other built-in scene modes are landscapes, portraits, close-ups, sports, and more. Manual focus is also available. Its peaking feature allows you to see when the edges of any object are in focus by displaying white highlights on screen. In video mode, SONY NEX-5R is able to record 1080p video at either 24 or 60 frames per second with AVCHD output format. It can also record MP4 videos but the resolution is limited to 1,440 x 1,080 pixels at 30fps. The mounted microphones record stereo sounds nicely to make more lifelike video recording. It is good to see a camera that brings a full DSLR imaging quality in such a compact design. The SONY NEX-5R does indeed offer excellent core imaging functionalities for capturing still images as well as recording videos. Compared to a full DSLR camera, NEX-5R does not offer the same level of control, but it is still a good trade-off given for the compact design.